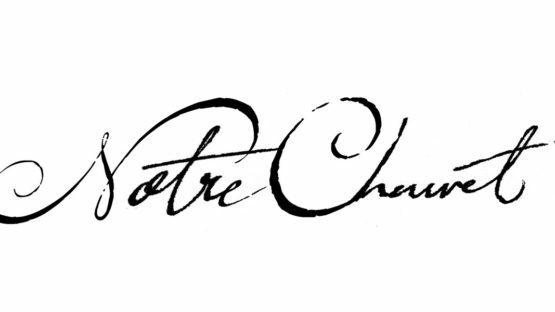 Notre Chauvetis is an art movement of intelligible marks by people with something to say and share. Its works may be individual or collaborative. Creations simply bear the signature ‘N-C”–meaning it is from one or a number of creators in ‘Our Cave’. Notre Chauvet is actually the name for an artistic duo, brothers Joe and Graeme Hagan. These Melbourne based artists focus on combining a renaissance and pop art in fusion with a contemporary discourse. They have a long family background in the arts, and as individuals, have been very successful in the traditional impressionist field. Brothers were trained from an early age by their father, an internationally accredited master impressionist Peter Hagen, and have exhibited in countless well-regarded galleries across the USA and Australia. The duo sees themselves as a commentary to what is happening around us… For them, it’s all about breaking the mold and making a statement in art. Notre Chauvet breathes new life into the modern art space as the movement audaciously injects conventional training into contemporary pop art influenced pieces. It is a continuation of a movement that kicked off over 40,000 years ago in the caves known as the CHAUVET, in the South of France, brothers explain. At the time, there was not one individual but a body of contributors. Likewise, there was not one cave but many. Together the marks on the walls of all the caves over time made for what we now recognize as a record first and second, an incidental commentary of the times. This collection of marks is known to us now, as Art. Today, as then, whoever is in the Notre Chauvet or ‘cave’, can participate and contribute. The only prerequisite today is the submission be ‘intellectual’, meaning it carries a comment that has meaning outside the brain cavity of the ‘contributor’. A short intro to the Notre Chauvet’s world: a Christ-like figure of Ronald McDonald is towering over distraught men and women in floral wreaths, who desperately try to reach out and touch his glowing. Another one, a 17th-century Simon Vouet painting is reimagined with a female figure from a 1960s comic-book, who shields herself from Father Time’s anger as Ned Flanders looks on laughing. Joe and Graem Hagan live and work in Melbourne.